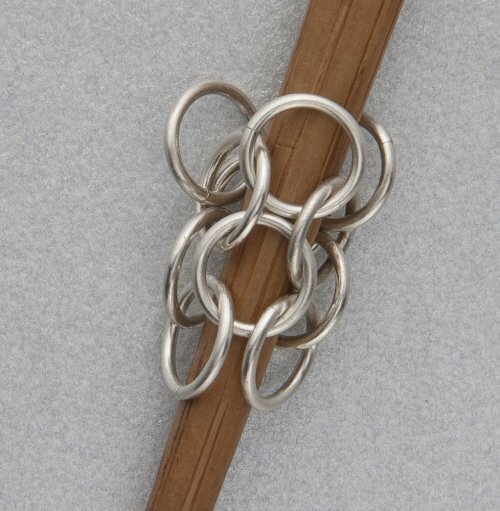 This chain maille weave is known as round maille. It has a gorgeous lacy effect, especially with these larger rings. 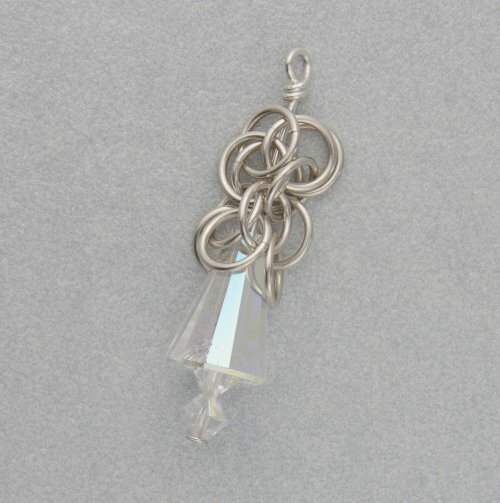 It is hollow in the center and the reflective crystals seem to emerge from the chain maille a little like ice crystals. Step 1: Place 2 bicones and one artemis bead on a headpin. 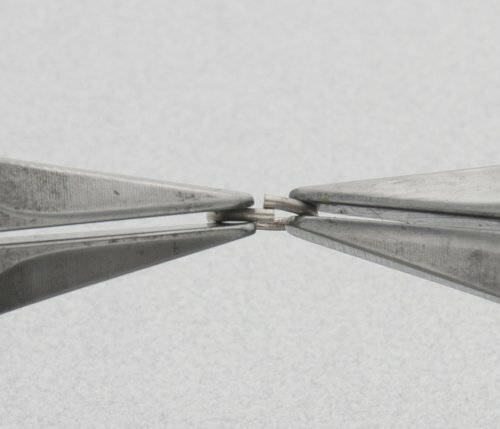 Make a 90 degree bend in the wire 1.25″ (3.2cm) from the bottom of the headpin. 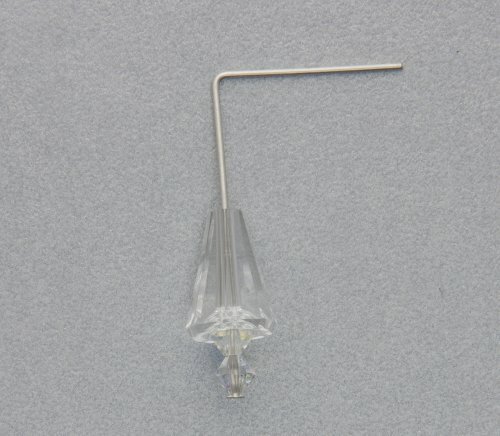 Please note this measurement is from the bottom of the headpin. 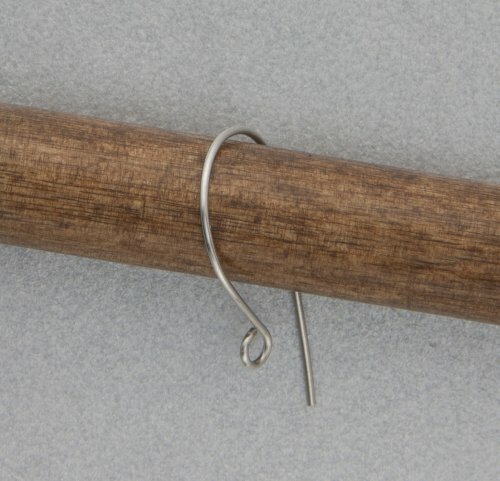 Make a wrapped loop. 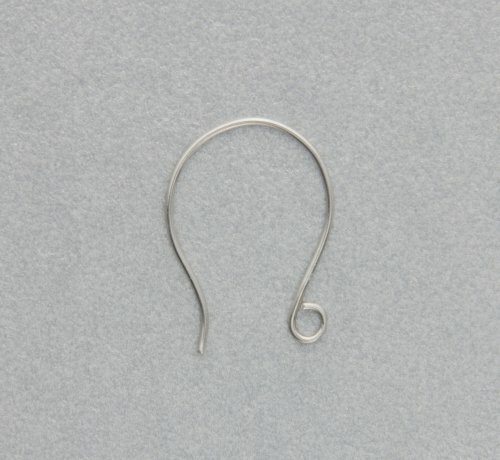 Don’t make this wrapped loop too small because you will need to attach 2 rings and the ear wire through this loop. 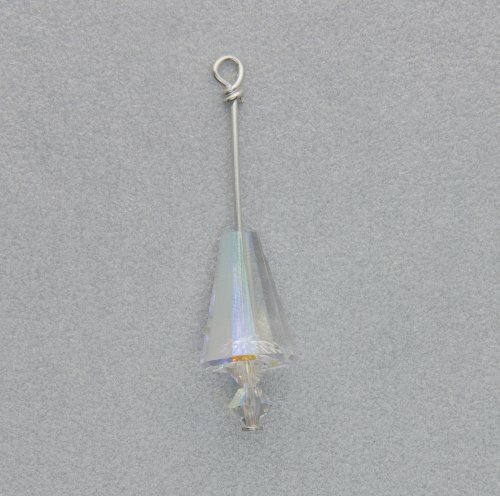 The wire and crystal drop should measure about 1.4″ (3.6cm) in length. Make 2. 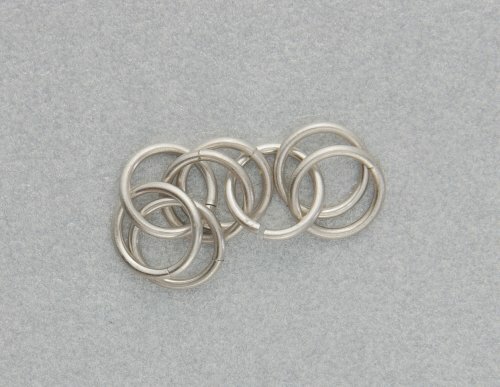 Step 2: For chain maille, particularly jewelry made with fine jump rings like these, the jump rings need to be closed under tension. 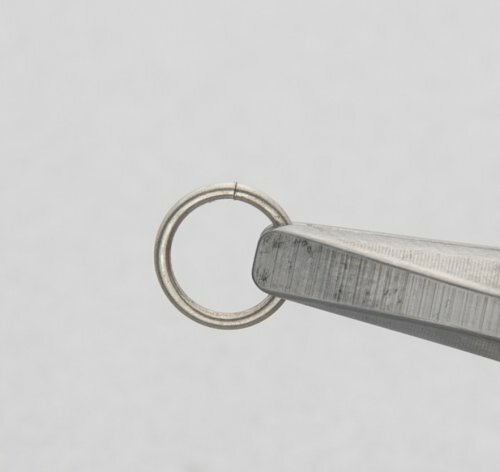 To do this use 2 flat-nose pliers and gripping both sides of the ring push the ends of the ring a little further than closed so the ends overlap, then bring the ends back to meet. 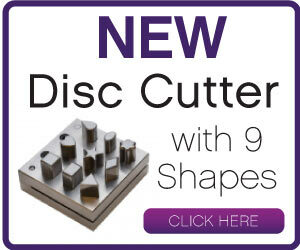 There is usually a little clicking sound when they go from overlapped to meet perfectly. Check by feel or use magnification. 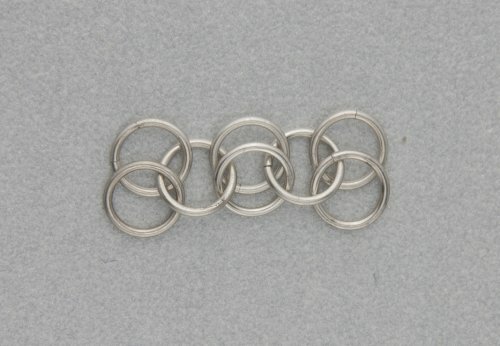 If your rings aren’t right keep adjusting and overlapping till you get a perfect ring. Step 3: Make a 2-1-2-1-2 chain. 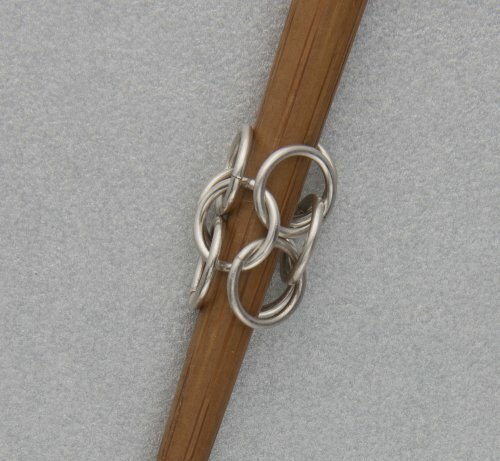 To do this place 4 closed rings on an open ring, and close the ring. 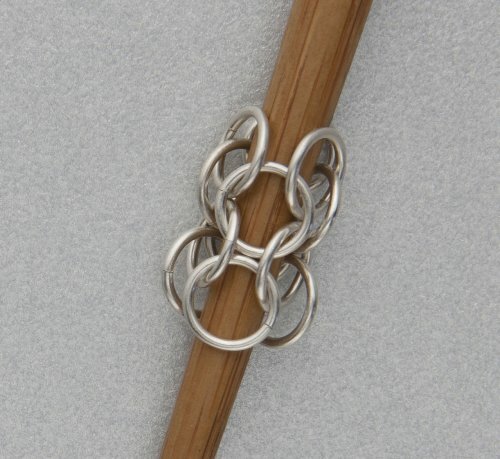 With an open ring, go through the last 2 rings of the 4 rings, add 2 closed rings and close the ring. 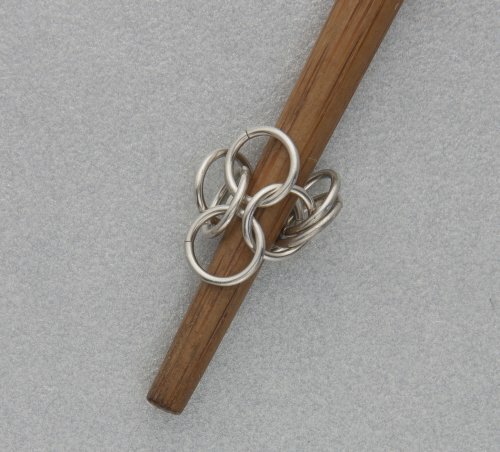 Step 5: Place your chopstick or small mandrel in the center of the chain circle and slide the circle up onto the mandrel, making sure not to go through any of the rings. 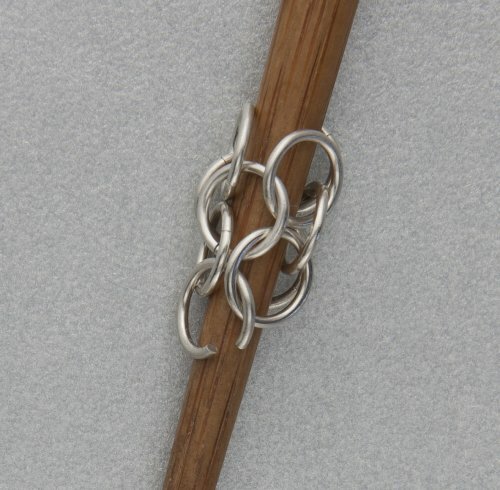 When the rings go on the mandrel the 3 links with 2 rings have one ring lying on the other, flip the top 3 rings 180 degrees so they lie flat against the mandrel. 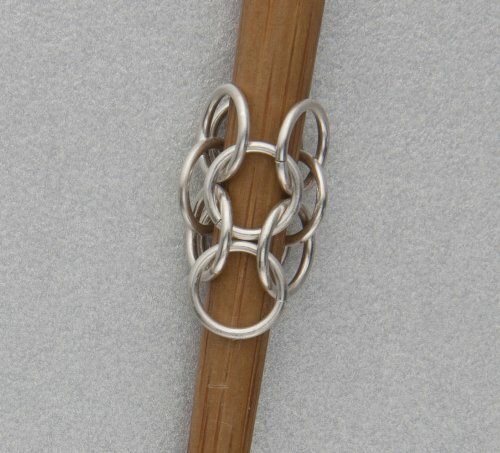 This step creates a round maille piece that now has 3 rows. 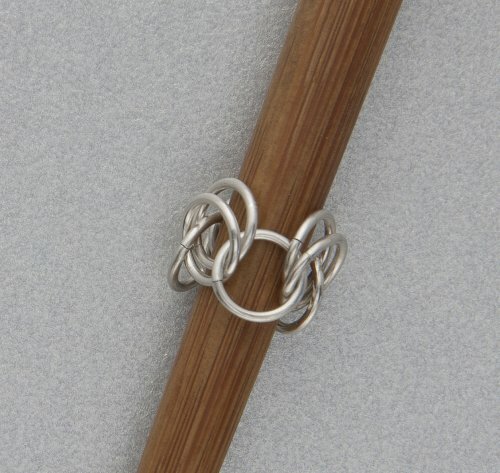 Step 6: To add a row take an open ring and go through 2 rings that are next to each other in the 3rd row at the point where they meet, go down into the first ring, up through the second and close the ring. 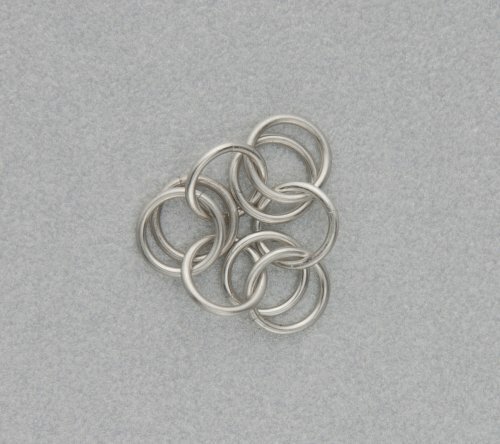 Step 7: Add another ring in the same way at the next point where 2 rings from the 3rd row meet. 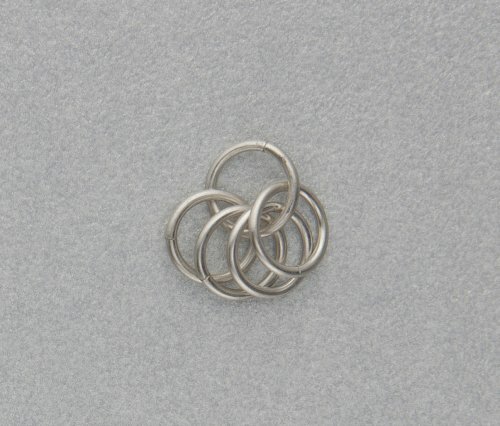 Add the third ring in the same way at the last spot where 2 rings meet. 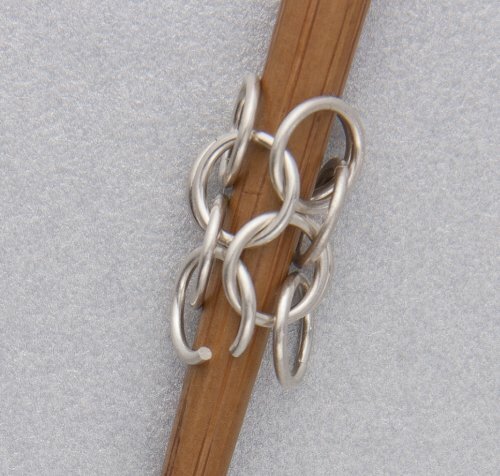 This piece now has 4 rows of round maille. 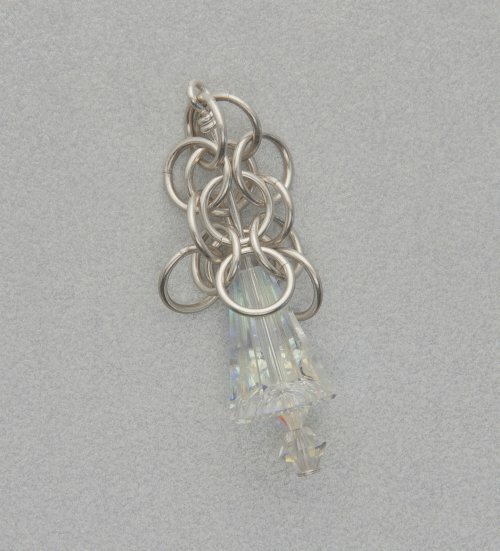 Step 8: Place the wire wrapped loop from the crystal drop at the base of the mandrel and slide the chain maille over the loop and down onto the crystal, making sure the wire is in the center of the chain maille piece and not going through any of the rings, just as the mandrel did. 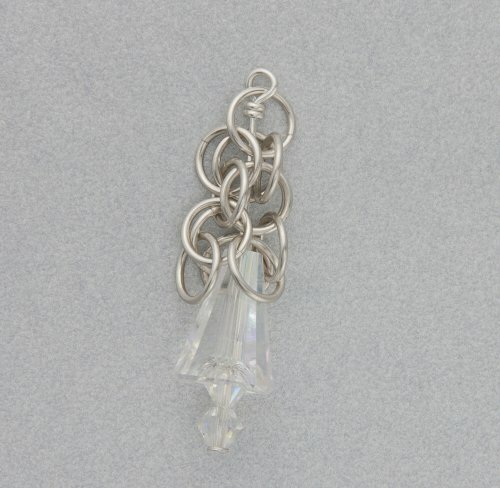 Step 9: To attach the chain maille to the crystal drop take an open ring and go through any 2 rings in the top row that are next to each other (just the same as adding another row in step 6) and through the wrapped loop, close the ring. Take another open ring and go through the next 2 rings where they meet, through the wrapped loop and close the ring. Make 2. 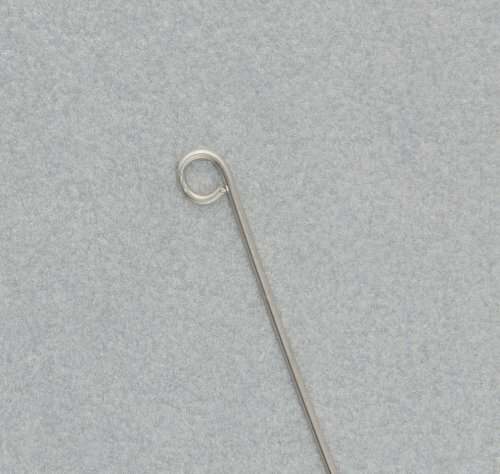 Step 10: To make the ear wires take a piece of wire and make a simple loop at one end. Hold the loop with the flat edge on the mandrel and bend the wire all the way round the mandrel to form the ear wire shape. Trim the end and smooth the edge with a nail buffer or sandpaper. 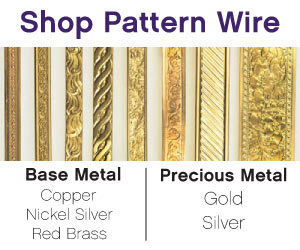 The ear wires need to be work hardened so they maintain their shape. You can do this by hammering them with a rawhide or plastic mallet, or put them in a jewelry tumbler. Make 2. 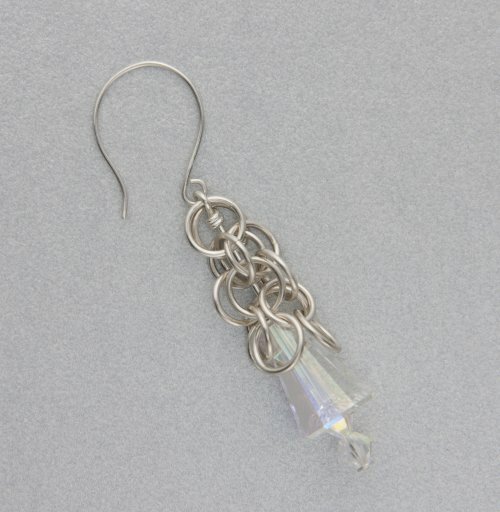 Step 11: Attach the ear wires to your beautiful earrings.